In 2012, seat belts saved an estimated 12,174 people from dying. However, an additional 3,031 lives could also have been saved if passengers age 5 and older involved in fatal crashes had worn their seat belts. Twenty four years ago, before we had campaigns like Click It or Ticket, I tragically learned this lesson in the hardest way possible. On April 1, 1990, my first wife Ellen and I were driving back to my Navy duty station in Corpus Christi after a weekend with friends at my alma mater, Rice University. While driving, we hit a blinding rain storm heading south on Texas 35. As we were driving, a car heading northbound lost control. The car spun around and hit us head on. There were three people in the car that hit us, an uncle and his two nephews. Tragically, all died, none were wearing a seatbelt. My wife, Ellen was also killed in that crash as a result of laying down in the back seat to take a nap. It was almost 25 years ago, before seat belt campaigns were in full force. I was the only person in either vehicle wearing a seatbelt, I was the only survivor. Today, thanks to Click It or Ticket and enforcement of seatbelt laws, seatbelt use has risen dramatically and hundreds of thousands of lives have been saved. However, we can save even more lives by increasing awareness of the importance of wearing a seatbelt. For the first time in five years, fatalities for unrestrained passenger vehicle occupants have gone up. According to the National Highway Traffic Safety Administration (NHTSA), in 2012, over 10,000 passengers in the US who did not wear seatbelts died. As a result of these fatalities, local authorities are stepping up enforcement and cracking down on those who don’t wear their seat belts. Closer to home, the Texas Department of Transportation (TXDOT) has found that in 2011, 46% of Texans killed in crashes were not wearing their seat belts. On the flip side, of the 762,778 Texans involved in crashes where there were no injuries, 97% were wearing their seat belt. I’m sharing my story in an effort to help save lives. If Ellen had been wearing a seatbelt, she might be here with us today. If the folks in the car that hit us had been wearing seatbelts, they too might have been saved. Wearing seatbelts saves lives. I applaud the efforts of NHTSA, TXDOT and our local law enforcement to do their part to enforce the laws and help save lives. The rest is up to each of us. The facts don’t lie. My story and thousands of others like it are strong evidence and a strong reminder – SEATBELTS SAVE LIVES. Do your part and wear a seatbelt while in a moving car. 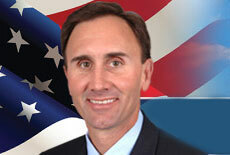 Rep. Pete Olson, a Republican, represents Texas District 22 in the U.S. House of Representatives.